Lutron Electronics, a world leader in smart lighting and shading as well as home automation solutions, have recently announced the addition of two new finish options to what has proved to be a popular Palladiom Shading System. Introduced at CEDIA 2017, the Palladiom Shading System was designed by Lutron to be a finely crafted exposed bracket system designed for the world’s most exclusive residences. Since its launch, the system has proven popular with interior designers and homeowners alike, and the company have now added two new bracket finishes. Those new options are described by the company as ‘lustrous finishes’ and will round out a range which already includes Satin Nickel, Black Anodized, Clear Anodized and Pure White finishes. According to Lutron, the finishes will meet the needs of any homeowner ‘looking to accentuate a style that evokes a deep-rooted legacy of culture and taste’. As well as the two new bracket finishes, Lutron have also released a decorative cover for the Palladiom Shading System. That cover is designed to slide over the bracket to mask visible fabric edges on the roll, and to more prominently display the beautiful shade hardware. 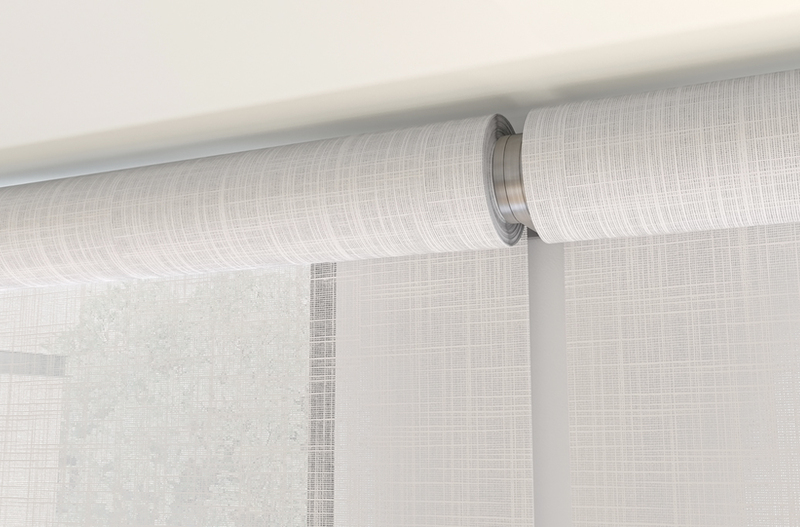 In addition, Lutron has announced an extended bracket to support 3.5-inch rollup diameters, essentially expanding the selection of fabrics that can cover a 12’ tall window. If you would like to discuss your requirements for Lutron shading solutions please call us on 0800 195 4825.